England saw 53 pct of voters opt to leave the EU, but in Scotland and Northern Ireland, a majority wanted to stay in. 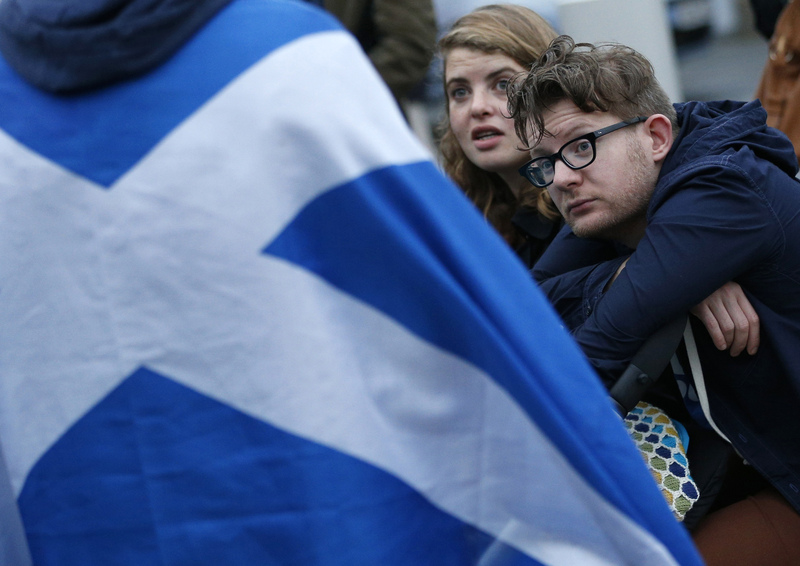 A second referendum on Scots leaving the UK now looks logical, while a united Ireland poll has been mooted. Economic issues will stop these occurring soon. The UK voted to leave the European Union on June 23, with 52 percent of voters opting to leave the bloc. In England and Wales, 53 percent voted to leave. However, Scotland saw a 62 percent vote to stay in the EU, and in Northern Island, 56 percent opted to remain in the bloc. Scotland’s First Minister Nicola Sturgeon said on June 24 a second Scottish independence referendum was “highly likely” and should take place before Britain leaves the EU. “It is a statement of the obvious that the option of a second independence referendum must be on the table and is on the table,” Sturgeon told a news conference. “I want to make it absolutely clear today that I intend to take all possible steps and explore all options to give effect to how people in Scotland voted (on Thursday), in other words to secure our continuing place in the EU and in the single market,” she said.